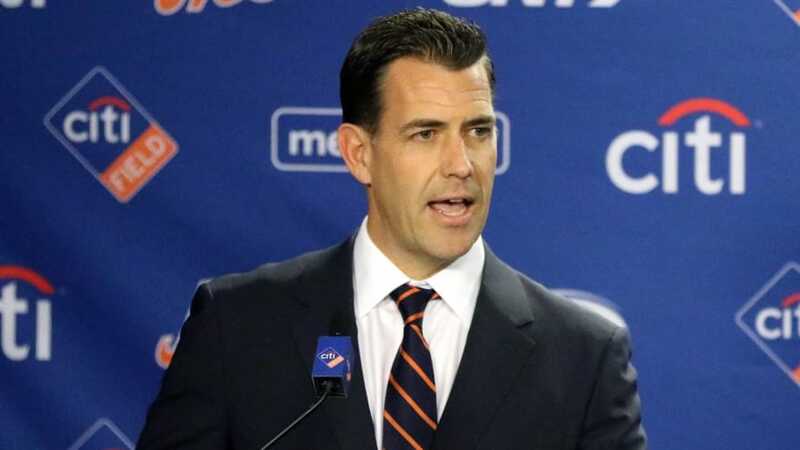 Looking deeper into their projections, there are several areas I feel the Mets are undervalued in, particularly regarding some position players. To be sure, projections aren’t meant to be far reaching, but the Mets appear to be closer to 88-89 wins, putting them in a tie or ahead of the Cardinals for the first wild card and giving them home field advantage. The main issue with this projection is that Cano hit .303/.374/.471 with a 2.9 WAR in 2018… in only 80 games. While it’s unlikely Cano will repeat this slashline over a full season or have a 6 WAR, it seems more than plausible he has a .5 win swing and winds up with 3.8 – 4.2 WAR in 2019. This is possible the biggest undersell among all the Mets position players. Lowrie hit .267/.353/.448 in 2018 with a 4.9 WAR. It seems highly unlikely that Lowrie will regress that significantly in a 1 year span. The projections don’t know that Lowrie had septum surgery prior to 2017 and combined with a change to his swing has led to 2 straight seasons in which Lowrie has produced outside his career norms. While Lowrie may not have a 4.9 WAR in 2019, it’s a pretty safe bet that he winds up with at least the 3.6 he had in 2017, and possibly at the median at around 4.2 WAR in 2019. Perhaps Lowrie wasn’t the biggest undersell. Nimmo hit .263/.404/.483 in 2018 with a 4.5 WAR, is only turning 26 and obviously made great strides in 2018. His WAR and slash line may have even been higher had it not been for being hit by pitch by Rich Hill on June 24th, leading to a month long slump that sank his stat line. Prior to that hit by pitch, Nimmo was hitting .284/.400/.574, and after that slump he hit .288/.453/.494. Thats 65 games prior, and 50 games after. Its safe to say Nimmo will outperform this projection by a significant margin, possibly by 2- 2.5 wins. This is pretty much exactly what Conforto did in 2018. But in this article here, I detailed why I think Conforto is poised for an even larger season in 2019, and there is little doubt to me that Conforto will hang around the numbers he posted in 2017 which were .279/.384/.555 and a 4.4 WAR. Even though that was in only 110 games (!! ), projecting further onto that seems a bit unreasonable. This is 6 additional wins the Mets could (will?) have in addition to their projection systems by fangraphs, more than I had originally anticipated by eyeballing them earlier. I’m going to add a small disclaimer: I am merely projecting on projections, so to speak. I believe the Mets will win around 88-90 games, with these position players showing up their projections.